thisiswhyiplaynice | The greatest WordPress.com site in all the land! A Holy Grail Face Powder. 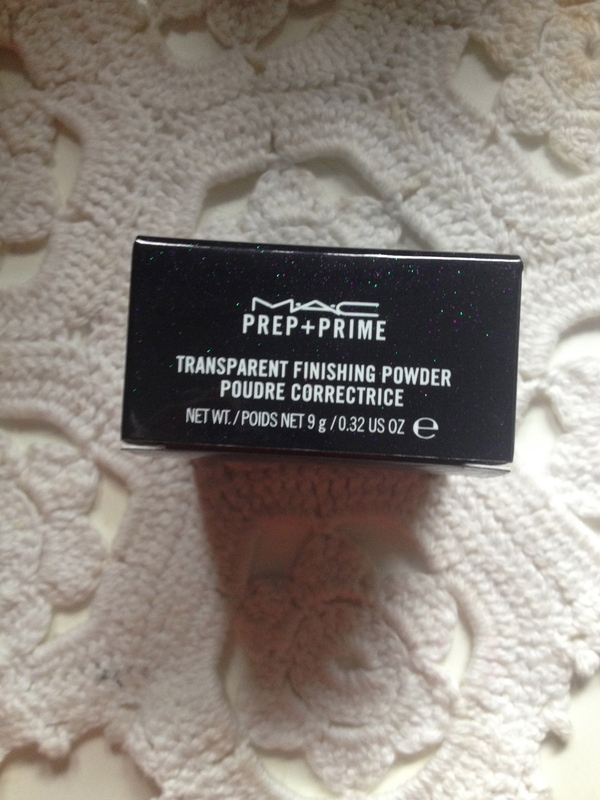 I’m not the first person, and I certainly won’t be the last, to rave about MAC Prep and Prime Transparent Finishing Powder. Oh, my. I haven’t ever really been a face powder girl, but my skin has been changing a little recently, and I have found that makeup isn’t enjoying hanging about on my nose and chin as much as it used to. 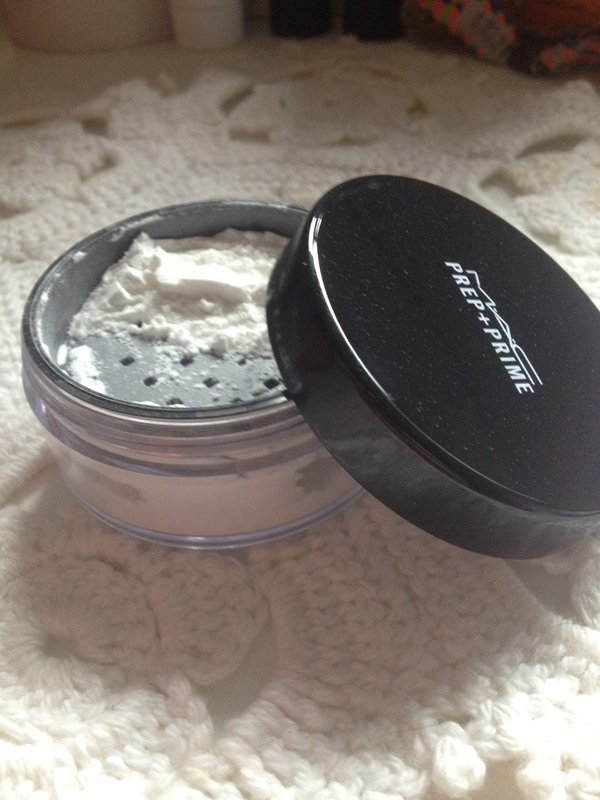 My sister told me about this… and while it isn’t a fixing powder per se, it does exactly what I need it to do. The powder is very, very very, like SUPER finely milled. So fine. This means it applies like a dream. I swirl it on my face as the woman on the counter showed me; rather than sweeping it on, I kind of twirl the brush a little in my fingers and I move it up and down my nose and chin. The Transparent Finishing Powder leaves my skin looking soft and velvety and makes my foundation really last. 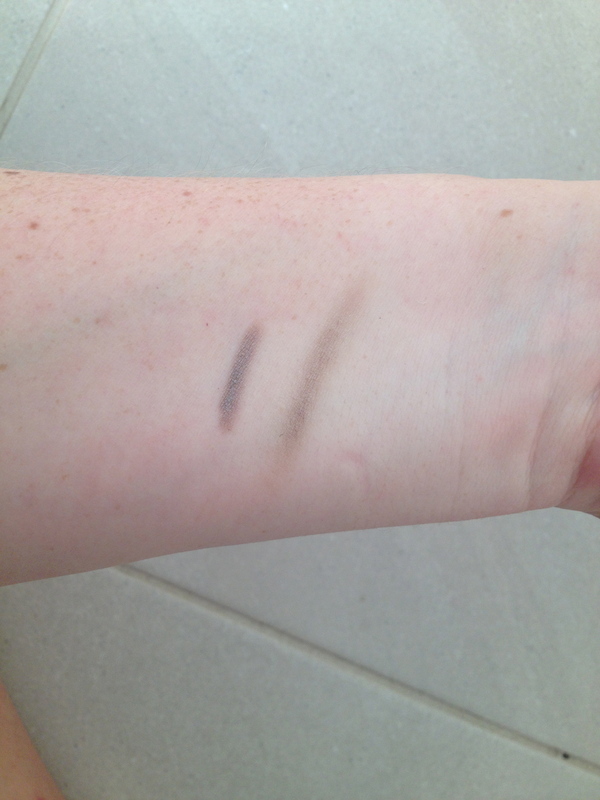 It’s not too mattifying, it has more of a velvety effect and I haven’t seen any evidence of it caking anywhere; as a matter of fact I wore it over my Estee Lauder Double Wear which usually cakes on my something chronic, and I got no caking with this over the top. WINNING (oops, that’s not a thing anymore, is it?). I don’t always totally finish with this, I usually sweep the Bobbi Brown finishing powder lightly over this, but I am totally, totally sold on this powder. I love it. 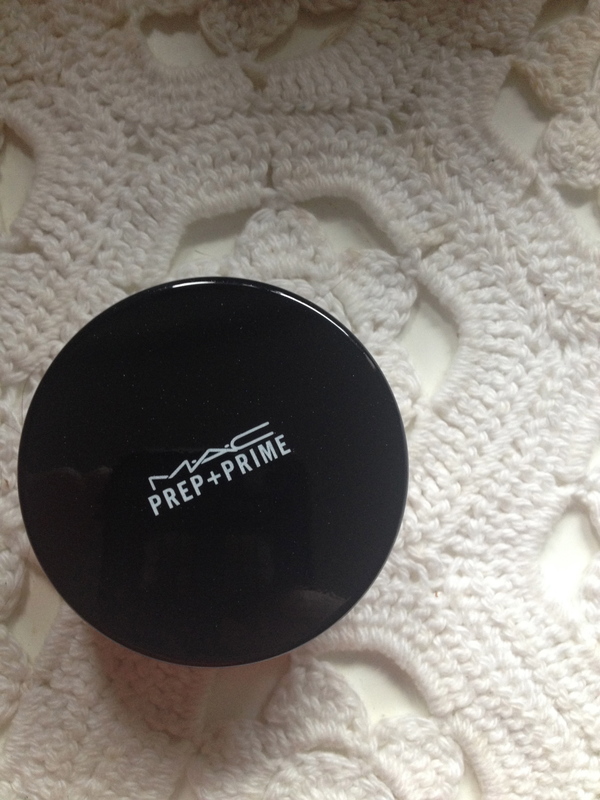 Next time I am at a MAC counter I am going to look at a few more in this line of Prep + Prime. Soft Silky, Shiny Hair- My Solution. Kerataste Resistance Ciment Thermique has been a lifesaver for me. I have always been a hair dyer. My mum let me start quite young, maybe 10 or 11 years old, just playing with henna and mainly going for reds. I soon progressed to at home colours, from bright reds, to purples, blacks and everyone’s old favourite Sun-In. As I have gotten older, I haven’t gotten any wiser. I have balayanged, dip-dyed, had streaks, gone from black to Rhianna inspired bright red. Even to this day I yen for white blonde hair, even though I know it will destroy my hair. So last year, in September, I decided to have a year off from colouring my hair – either professionally or at home. I wanted to have a look at what I really have now, after nearly two decades of endless punishment and fun. About that time I started looking at treatments for my hair, and how to take better care of it. On my favourite beauty forums there seemed to be a significant group of women waxing lyrical about Ciment Thermique. Asit is designed for hair that is regularly subjected to extreme heat (I have a deep, endless love for my GHD) I decided to give it a go. Now it has taken me a while to really get a hang of how to use this product. It must be applied to towel dried hair, and it must be dried with a hairdryer. If you allow your hair to air dry after applying this, it goes a funny crunchy dry texture… odd. I apply a small blob (it says on the back of the bottle to apply a walnut size amount, but that is far to much for my collarbone length fine hair) about a hazelnut, seeing as we are talking in nuts, to my palms, rub them together and then work it through my hair. Now here is the crucial thing I learned; not only should you really apply it carefully to your hair, but really work it in. Massage it into the lengths. And then I use my tangle teaser to brush it through. I then ‘blow dry’ my hair with the Bablyiss Big Hair type thing that cheaper brands have copied, and voila- I have super soft, shiny, bouncing perfect hair just like in the shampoo adverts! I find my hair is less damaged, handles interacting with the GHD much better, and even a swim in the ocean doesn’t leave it as brittle as it once did. It’s official. I am a convert. The Battle of the Cleansing Waters! Ever since I can remember, or maybe since I started caring, beauty writers have raved about Bioderma Micellar water, most recently in its Sensibo/Crealin H20 incarnation. Beauty enthusiasts wax lyrical about its make up removal powers and the way it leaves the skin soft and undamaged. And I agree with this. It takes my makeup off really nicely (before I properly cleanse) and doesn’t irritate my skin or eyes in any way, shape or form. The problem is, that in Australia, Bioderma is very new, and crazy expensive. That little tiny bottle in the photo above retails for $19.95 in Priceline. I went through half of it, only using it on heavy makeup days (which is maybe once or twice a week) in two months. Yikes. So when I saw someone (and I really can’t remember who, but it might have been Megan) on YouTube raving about the Garnier Micellar Cleansing Water I thought it couldn’t hurt trying it out. In Priceline, this retails for $11.99 for 400ml. Nothing to lose in my opinion. 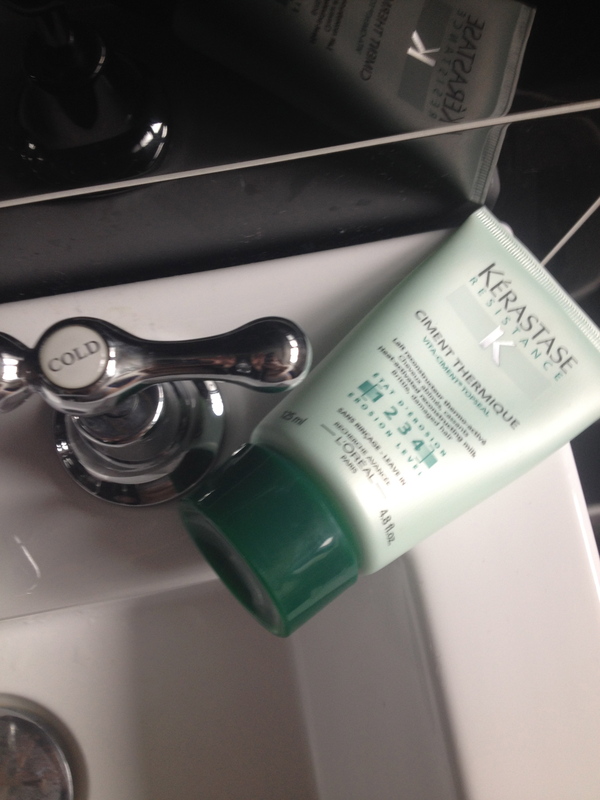 And can I say… I like the Garnier a whole lot more. I find it really takes my mascara off without any wiping or rubbing (no panda eyes when I am mid ‘proper’ cleanse) and my skin feels way more hydrated after using it. It may also be that I use it more liberally because it is cheaper, and for me that is a complete bonus. I keep my little bottle of Bioderma for travelling times, but I will definitely be holding onto the Garnier for a good long while. This is not a cleanser in my opinion – I still cleanse my face every morning and night with a dedicated product. But for makeup removal, especially those more stubborn products like mascara and the Maybelline/MAC cream eyeshadows, this works like a dream. 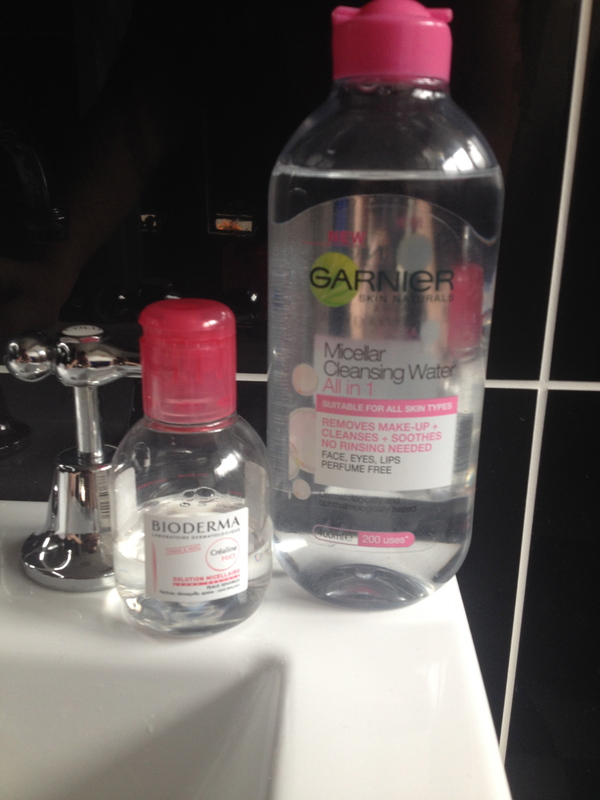 Will you try the Garnier Micellar Cleansing Water? Do you use the Bioderma? Or have you tried another one I should know about? When Sali Hughes makes a budget product recommendation, I will usually rush out to buy it staright away. No shame there! 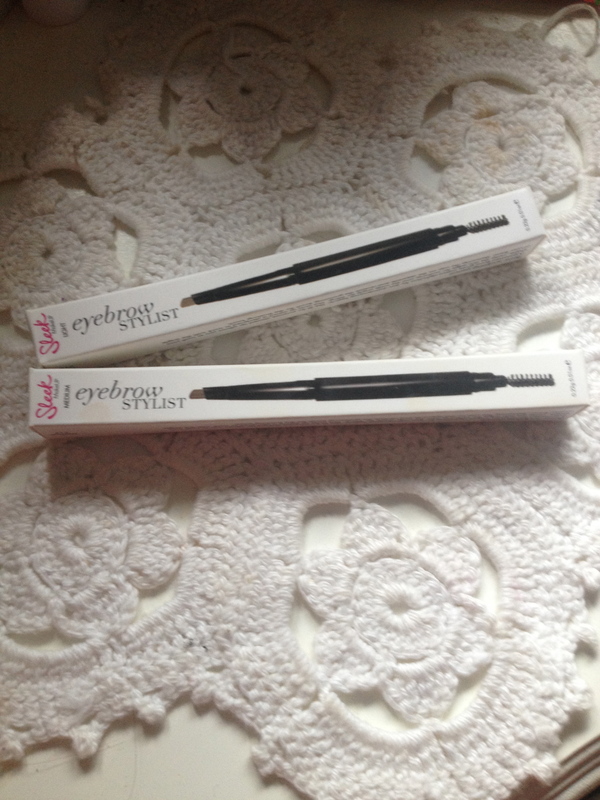 So when she recently said she liked the Sleek Eyebrow Stylist I jumped on the sleek website and ordered two. I have been looking for a new eyebrow product for a while. I have been using the MUA Pro Brow kit for a while, and while I really like it, I wanted to try a pencil-type product- but most of them come with a really high price tag! This was the perfect solution to trying a new product without worrying if it didn’t work out for me. I ordered the Light and the Medium colours – even though I have very dark hair, my eyebrows quite sparse and my hair is very fine, and I don’t really like the ‘super drawn on’ eyebrow look; just a little extra definition and filling in the gaps is all I am after. The Sleek Eyebrow Stylist comes with a waxy pencil nib that is triangular in shape, and on the other end a spooly to brush and groom the brows into place. I brush the spooly through before and after applying the product, as I feel it gives me that more natural look. I’ve mainly been playing with the medium colour, and I love the shape of the nib. 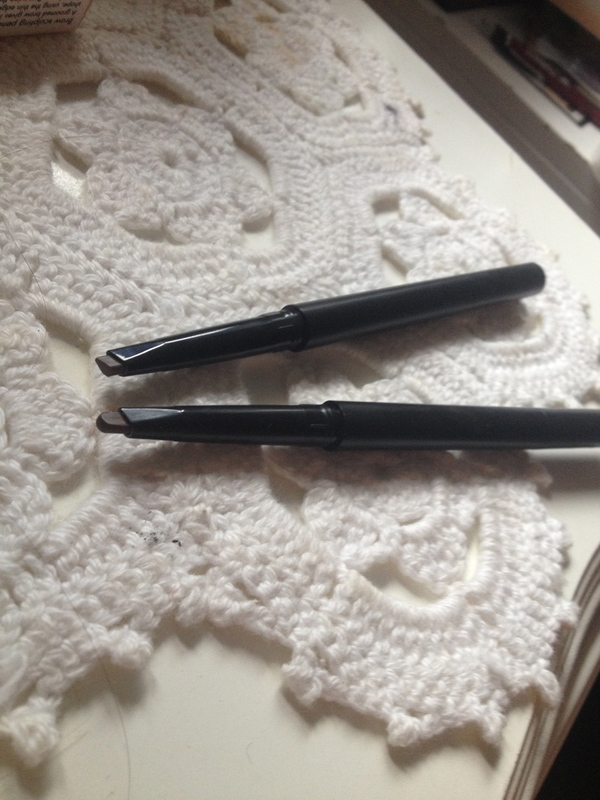 It allows me to create very fine lines in the thinner parts of my brows, and fill in and define with the thicker parts… but it does take some practice. I am very glad I didn’t go darker, but again, that’s my personal taste of that more natural every day look. I am dying to get to a NARS counter and have a girl do massive statement brows on me one day. Just for fun! Having been an eye brow powder girl for so long it is taking a little bit of getting used to. Brows definitely take longer with a pencil that with powder and a brush, but I am enjoying the change. It also lasts much longer than the powder does! 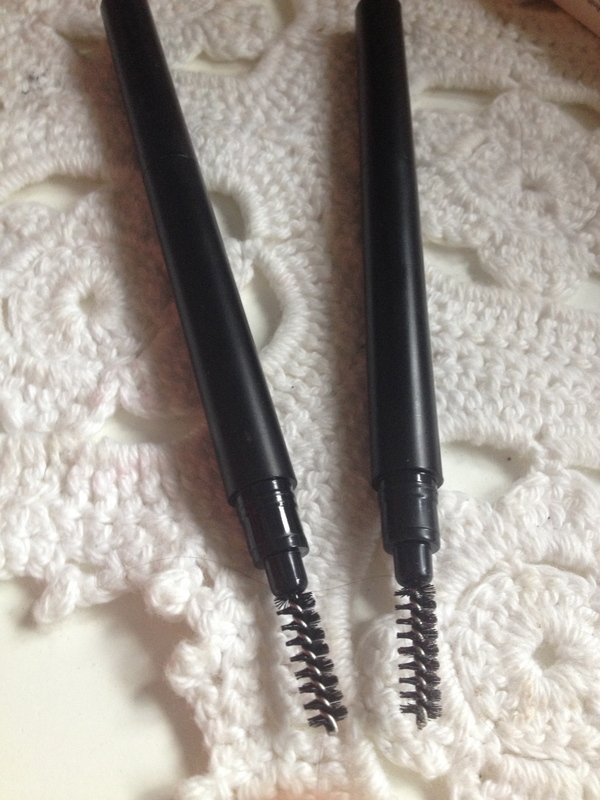 The Sleek Eyebrow Stylist retails for $8.99 US. I haven’t heard much about these, and haven’t spied anyone discussing them on one of my favourite beauty forums (Sali Hughes Beauty), but when I saw these in the L’Oreal stand I knew I had to have at least one. And while the product is described as a pencil, it is more of an eyeshadow crayon for sure. It really reminds me of the Bobbi Brown creamy eyeshadow sticks, but with more staying power. I bought 03 Smokey Taupe. I really like this eye shadow stick crayon, thing. I really do. It applies like a dream, very smoothly, and you have a little bit of time to play and smudge it out if you want, before it dries, and sticks. It really sticks. This Eye Colour Pencil will not budge. 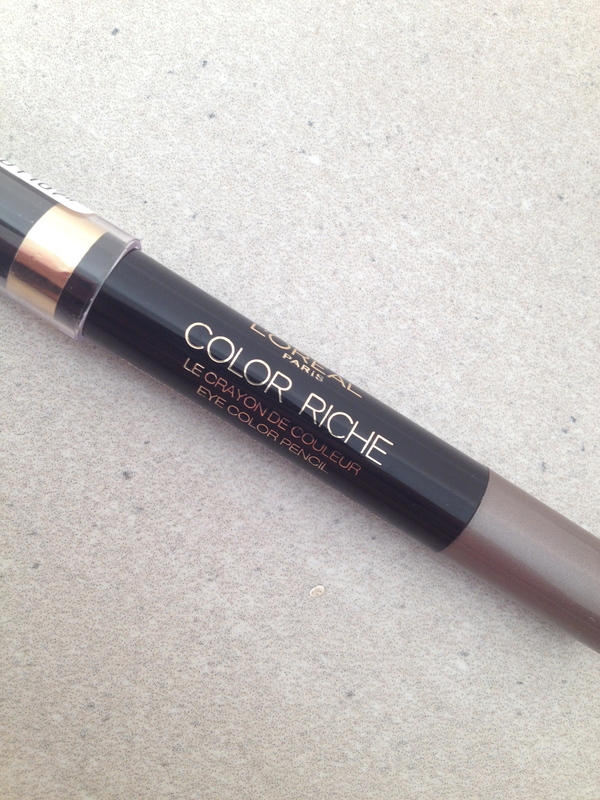 The stick itself has a much finer point on it than the Clinique Chubby Sticks for Eyes, but has a very similar application and feel to it – a very dry creamy feel. The smokey eye look is so easily achieved with this little beauty, and the colour range is stunning- a few more neutral, subdued tones than you find in some other ranges. ONLY MAJOR DISAPPOINTMENT; I can’t figure out how to ‘sharpen’ it. It’s in a plastic tube and the bottom doesn’t twist. Any ideas are greatly welcomed! My Favourite Skin Care Product. I honestly don’t know what I was doing all those years before I used face oils. Even when I did start using face oils, I would dab them around my mouth and eyes, like a targeted treatment product. Oh, yes, times have changed. Face oils are my favourite skin care product. Could I live without them? If I was going to prison, maybe. But do I want to? No. And these are the three staples in my skin care routine. I use oil on my face at night, after serum and before eye cream. I only use a night cream if I really feel I need to. Trilogy Rose Hip Oil. This is a can’t-live-without-it product for me. I love it. I love it so much. Yes, you need to use rose hip oil just about every day for a long period of time before you start seeing results – in six weeks I noticed that my scars were fading, and after six months of every second night use, my skin tone is very even and my skin feels great. If I take a week off from using this oil, I can really tell the difference. I have tried a whole lot of different brands, and in my opinion, not all rose hip oils are created equally. The Trilogy branded rose hip oil is certified organic, has a lovely thick and heavy texture, and has no added fragrance or rubbish I have found in other brands (even though it’s not listed on the ingredients- how do they get away with that!?!?!). I hold the drops of oil (usually four to cover my face, neck and décolletage) in the palm of my hand for about 30 seconds before applying it; I find this really warms the oil up and makes it easier to apply evenly (for the record I do this with all of my oils). This is just the best product to make your skin hydrated, even out skin tone, work on dark spots or scars, and keep the wrinkles at bay. 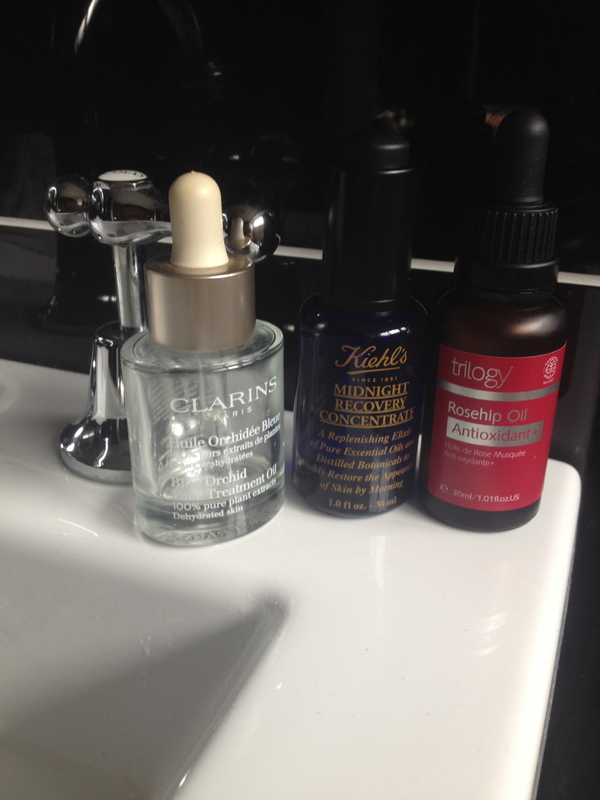 Kiehls Midnight Recovery Concentrate: This is such a little treasure. Although it is far more expensive than the rose hip oil, this little beauty smells divine and really works on brightening your skin. I use this about twice a week, or I mix a drop or two in with my rose hip oil. It’s a dry oil- it sinks into the skin very quickly and I always have to use a moisturizer afterwards. I like the way it feels on my skin, and adore the brightening effect on my face. Love this product (and so does my husband). Clarins Blue Orchid Oil. This is the kind of product that deserves a very slow O.M. G. The smell of this oil puts me in mind of a day spa, the cool and expert hands of a beauty therapist and soothing music *swoon*. The aromatherapudic (is that a word?) element of this oil alone makes it worth the price. As you can see in the photo above, I have nearly run out of this. Yes this oil is incredibly effective on dry and dehydrated skin. Yes, it plumps up your skin and makes you feel amazing, espcecially the next day. But what really makes me love the Clarins Blue Orchid Oil is that I know if I have had a stressful day, or if I am feeling a little worked up before bed time, applying this oil will make me feel relaxed, at ease and ready for a good nights sleep. What a gem. What are your favourite face oils? Essie is one of my favourite nail polish makers- not necessarily because of the formula (sometimes the colours are too sheer or the polish chips and peels off my nails too quickly. The latter is more to do with my nails, than this particular brand). I love Essie because of the colour range. The subtle shifts in the pinks, neutrals and red, the beautiful hues of blue and purple, and then awesome bright fun and on trend colours; all of them really speak to me. Actually, they call my name. I can’t resist. It doesn’t matter that I have more bottles in my collection than a girl should reasonably have, I must have that new colour! So when my eye caught this little beauty I knew I had to have it. It also helped that with my Priceline rewards voucher I got a $4 off Essie perk, AND they had 40% off all beauty so I got this for a STEAL. 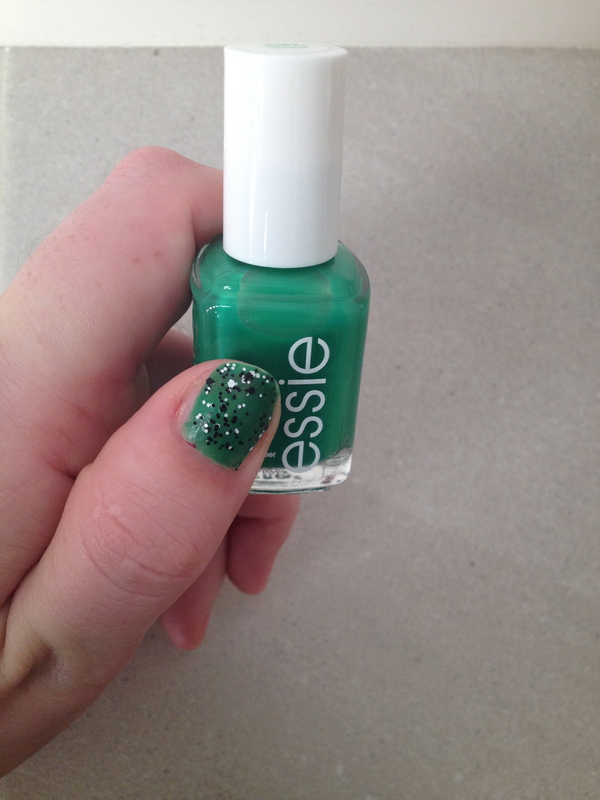 I have been hunting for a green, which can be a tricky colour to wear on your nails. I think Essie have really gotten the tone (cool) right on this one, and it is more of a blue green than yellow, which helps it look chic on the nails, I think. It did take four coats to get the colour as opaque as I wanted it – this is a bit sheer and a tiny bit streaky. 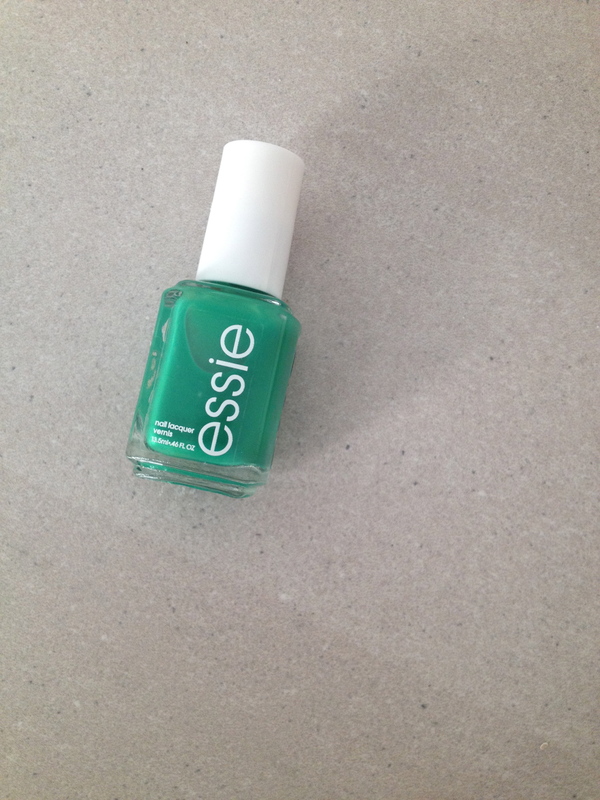 It also has a very matte finish, which is really cool and of course the brush, which Essie do brilliantly, is excellent. I also tried a different top coat on it from L’Oreal, and I really like the effect. But this is definitely a colour I will be getting a lot of wear out for the coming months, as I really need a break from blue and red. thisiswhyiplaynice · The greatest WordPress.com site in all the land!